This is the “umbrella” site for The Hospitality Formula Network. All posts on the other blogs within the network are summarized here when they are posted. 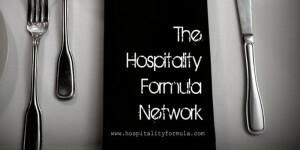 That makes this the best site to keep up on all of the posts being added to The Hospitality Formula Network. Waiters and Waitresses looking for ideas on how to be a better server can find great information here. This blog covers a number of topics including how to make better tips, improve customer satisfaction, and overcome many of the challenges faced by restaurant servers. This is also the home of The Rules of Serving which contains the 10 most important rules that restaurant servers should know. Restaurant managers and owners can find over 100 posts to help their restaurant improve within this blog. This blog include a variety of topics including restaurant theft prevention, how to motivate restaurant servers, and restaurant server training. One of the most popular features is the Weekly Skills Focus which outlines how to hold an effective pre-shift meeting and gives day-to-day guidance on how to teach specific skills. Foodie Knowledge is different than many of the “foodie blogs” because it teaches the information about food that is specifically relevant to restaurant servers. This blog also contains a number of explanations of restaurant industry issues in a way that makes them more relatable to guests. Be sure to check out the Beef Made Easy series for a concise explanation of the different cuts and grades of steaks in a way that will allow your servers to show the value of premium cuts of beef. 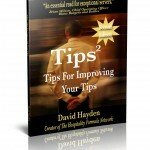 This is the home page for David Hayden’s first book, Tips2: Tips For Improving your Tips. This book contains the 52 essential skills of exceptional restaurant service. 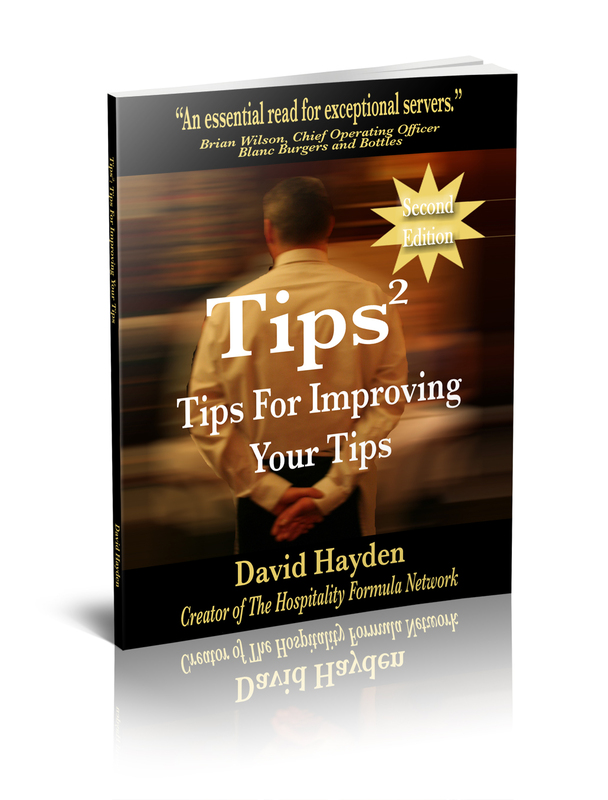 By breaking this book down into 52 separate chapters, it lays out topics for pre-shift meetings for restaurant managers and is an extremely effective restaurant server training manual. This is also where you can find the best prices available for the book or discounts for purchasing multiple copies. The newest addition to The Hospitality Formula Network features advice on how restaurant owners and managers can take advantage of marketing opportunities. This blog covers a variety of topics including search engine optimization for restaurants, marketing with QR codes, the cost of Groupons, and the value of Google Places. Be sure to check out both of David Hayden’s books on Facebook marketing for restaurants as well as the free report of the month. In the midst of writing all of these blogs, David still finds time to display a sense of humor. After a long shift at a restaurant, nothing is more relaxing than taking a moment to unwind with a good laugh. That is where Restaurant Laughs comes in. This website contains humor for and about the restaurant industry. Don’t miss the most popular post of all time, The Greatest Customer Complaint Response Ever and his Random Thoughts From A Server series. 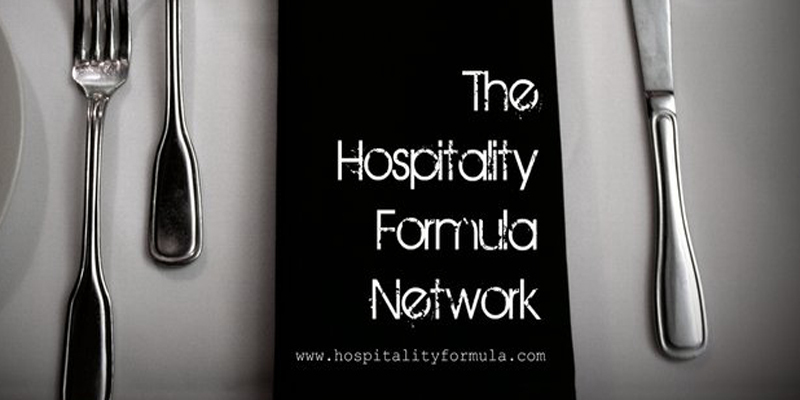 The Hospitality Formula Network truly does have something for everyone. The restaurant industry becomes more competitive and stressful by the day. This network of blogs is designed to help. The goal is always to help restaurant servers, managers, and owners succeed. Thank you for visiting this site and please take a moment to check out some of the other great resources available on this expanding network of sites.